As the indoor season reaches its climax, Prague hosts the European Championships at the Czech capital’s O2 Arena. Action gets underway on Thursday as shot put and men’s long jump qualifying gets the event kicked off, with the championships coming to a close with the relays on Sunday evening. The latest Athletics Weekly magazine includes 14 pages of pre-Euro Indoors content including much more in-depth previews, event history and European rankings. Find it in shops now or have a read of our digital edition which is available here. This weekend’s championships is the city’s first major athletics event since the European outdoor championships took place in Prague 37 years ago. Back then, in 1978, winners included Pietro Mennea of Italy in the 100m and 200m and Steve Ovett in the 1500m, while the meeting also featured the first-ever senior clash between Ovett and Seb Coe as they raced in an 800m that was won, surprisingly, by Olaf Beyer of East Germany. 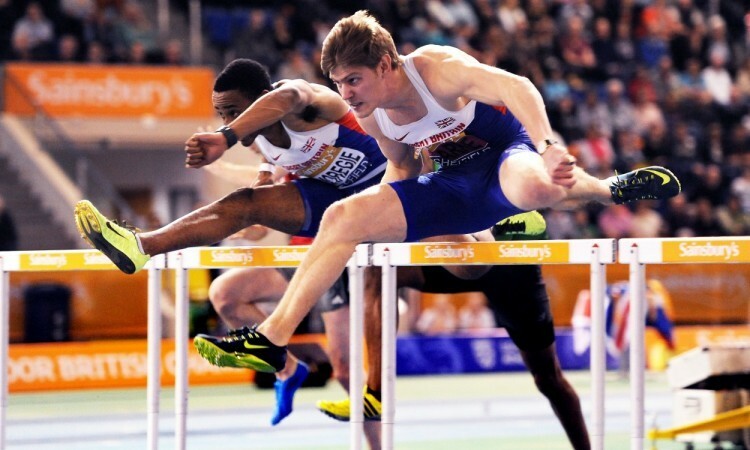 The European Indoor Championships is not quite as big as its outdoor equivalent but the four-day meeting promises some entertaining action with the British team being traditionally pretty successful and on this occasion fielding a decent team that contains a number of gold medal hopes. Katarina Johnson-Thompson is favourite for the pentathlon and is joined in the event by her talented, younger team-mate Morgan Lake who is this week’s AW magazine cover star. They face a strong field including the likes of Netherlands’ world indoor champion Nadine Broersen, Belgium’s European heptathlon bronze medallist Nafissatou Thiam and France’s two-time European pentathlon champion Antoinette Nana Djimou, who has also won two European heptathlon golds. Jenny Meadows is also a strong favourite for the women’s 800m and her event is one of several that contains big host nation hopes. Here the reigning world 400m hurdles champion, Zuzana Hejnova, is set to make a rare appearance over four laps of the indoor track. 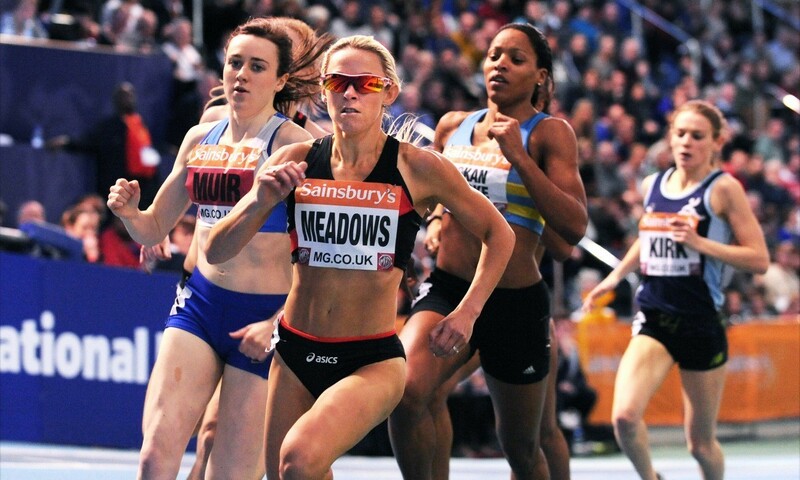 Meadows leads the European rankings for her event, as does Seren Bundy-Davies in the 400m after her impressive 51.72 win at the Sainsbury’s Grand Prix last month. Then there are the British speed merchants. Richard Kilty is Britain’s only reigning world indoor champion following his 60m triumph in Poland 12 months ago and he will challenge for European gold along with team-mates CJ Ujah and Sean Safo-Antwi. The women’s 60m also looks like a mouth-watering prospect with Dafne Schippers of Netherlands the No.1 but Britain’s world junior champion Dina Asher-Smith in flying form. The men’s sprint hurdles looks like a classic, too, with GB team captain Lawrence Clarke facing a trio of formidable Frenchmen led by Pascal Martinot-Lagarde. Renaud Lavillenie is one of the hottest favourites of the weekend as the Frenchman goes for his fourth European indoor pole vault title, while the 45-strong Czech team also includes Kamila Licwinko in the high jump and the event could prove to be a thrilling rematch of the 2014 world indoor final in Sopot. » See the latest Athletics Weekly magazine for 14 pages of pre-Euro Indoors content including more in-depth previews, event history and European rankings. It’s available shops now or have a read of our digital edition which is available here. Next week’s AW will include big coverage as we bring you all the action from the O2 Arena.